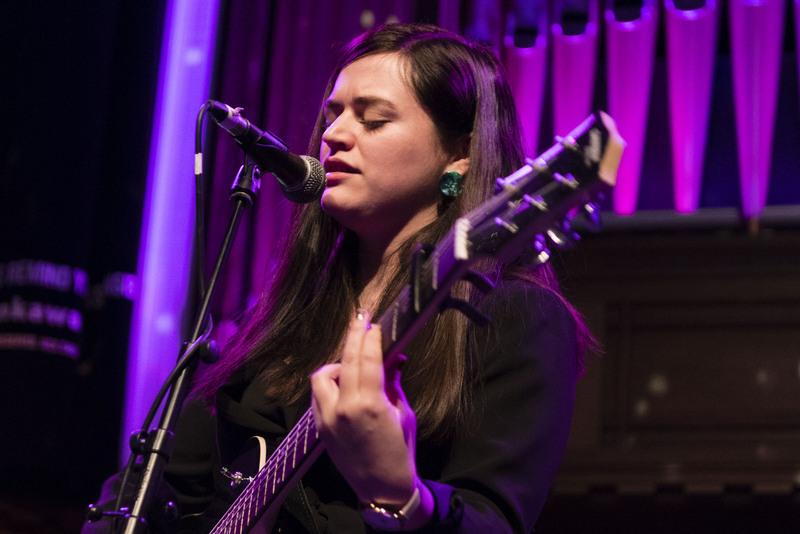 Siobhan Wilson ensures that the Celtic Connections festival ends on a high note, with an eclectic set of new songs, old favourites and stunning covers at Saint Luke’s. 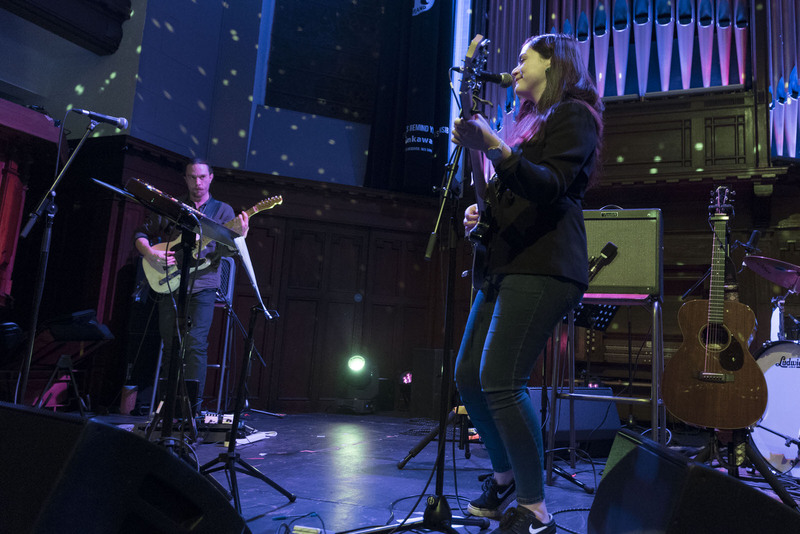 2019 has seen the most widespread Celtic Connections festival since it began in 1994 – with 2000 artists from 25 countries taking part in 300 events on 35 stages across Glasgow and attended by over 130,000 people from all over the world. 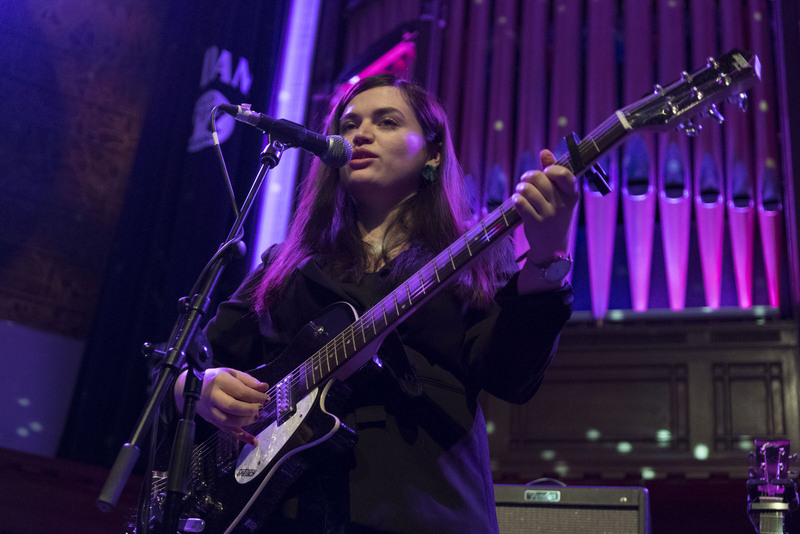 At the same time as the popular Transatlantic Sessions brought the festival to a close on Sunday – with a wealth of talent at the Glasgow Royal Concert Hall – the hidden gem of the 18 days of music took place at Saint Luke’s. 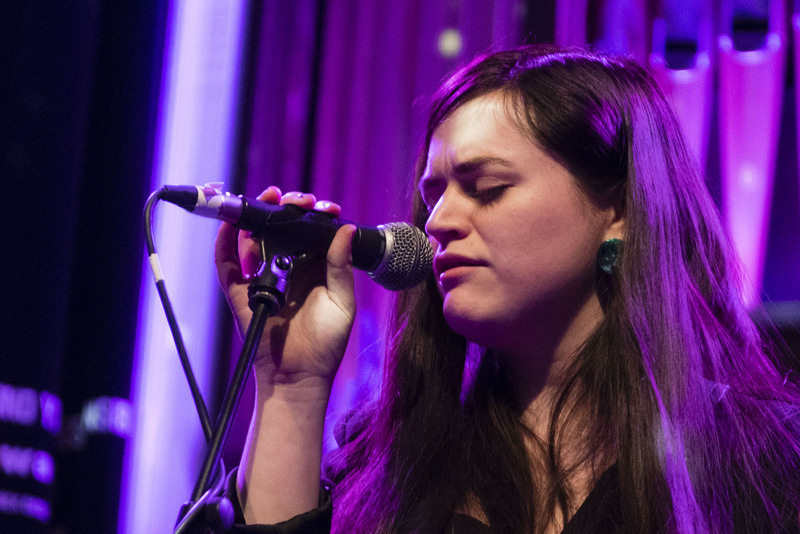 Siobhan Wilson has been recovering from a chest infection, which led to her postponing this show for a week. 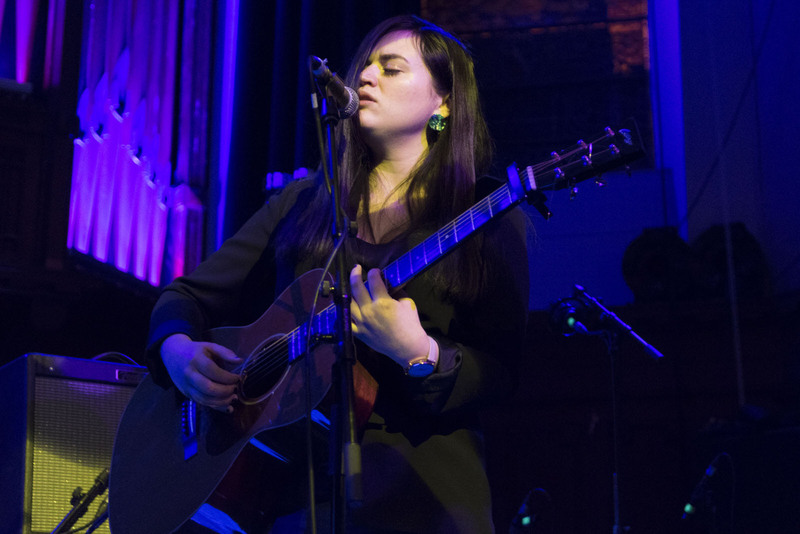 As she begins her set with the delicate acoustic beauty of new song ‘April’, which fully exposes her voice, you would have no idea that there had been anything wrong. 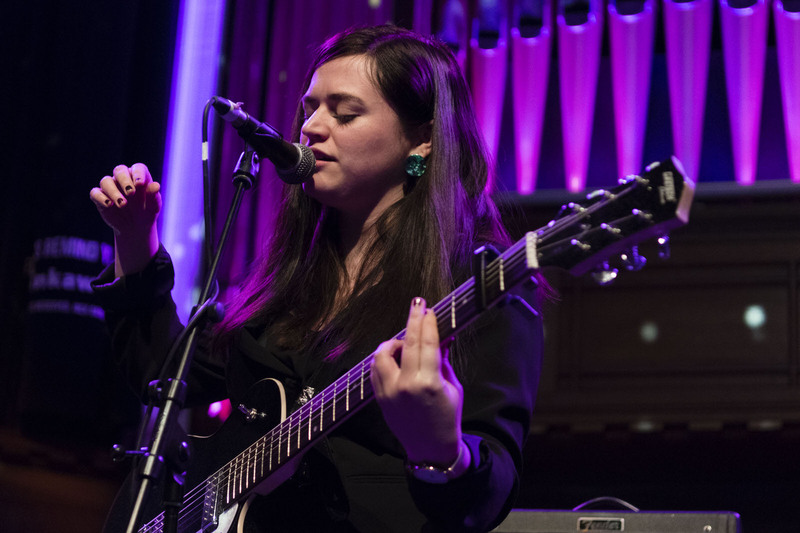 Throughout this set, she is joined on stage by diverse guest musicians and vocalists (and a bubble making machine) in true Celtic Connections style. These performers allow her to show off her rocked-up side on tracks like ‘All Dressed Up’ and ‘Incarnation’. 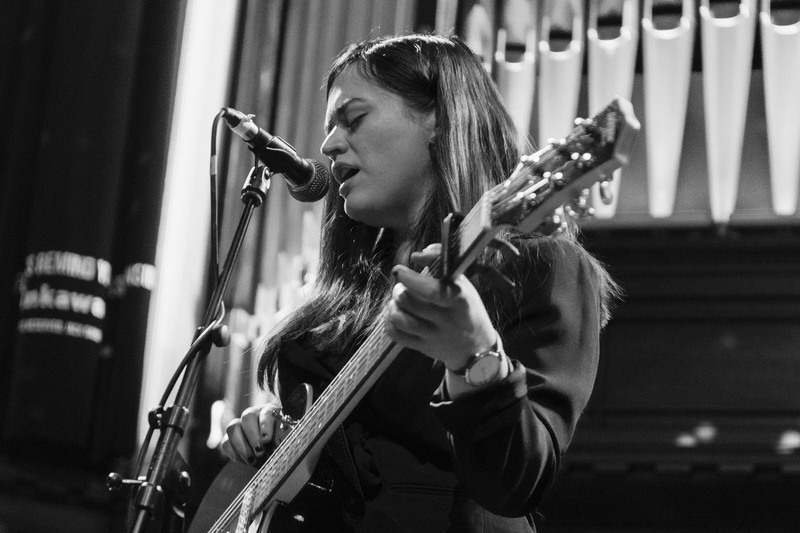 Having only seen her perform with strings and an additional guitarist previously, it’s refreshing to hear the impressive variety and versatility in her songwriting showcased through a much larger sound. Michael Pederson – of Edinburgh-based artistic collective Neu! Reekie! 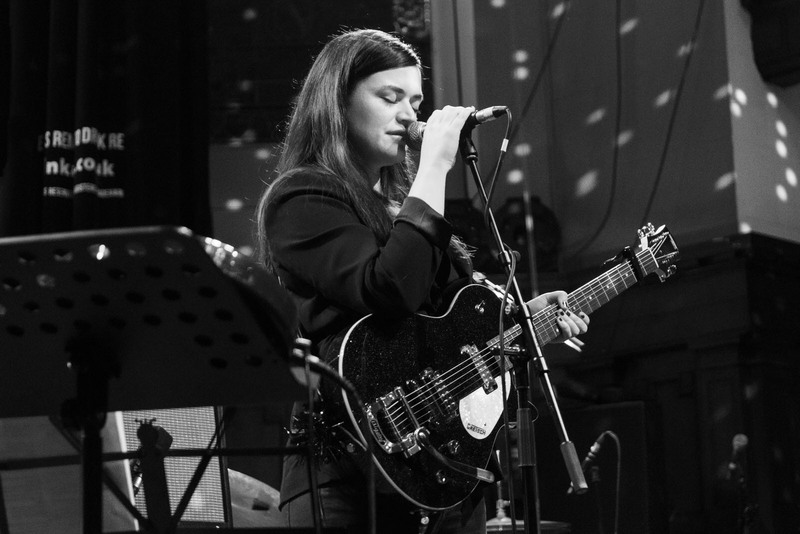 – who she’s keen to point out is “a real poet, not faking it like musicians” also joins her on stage for a song. 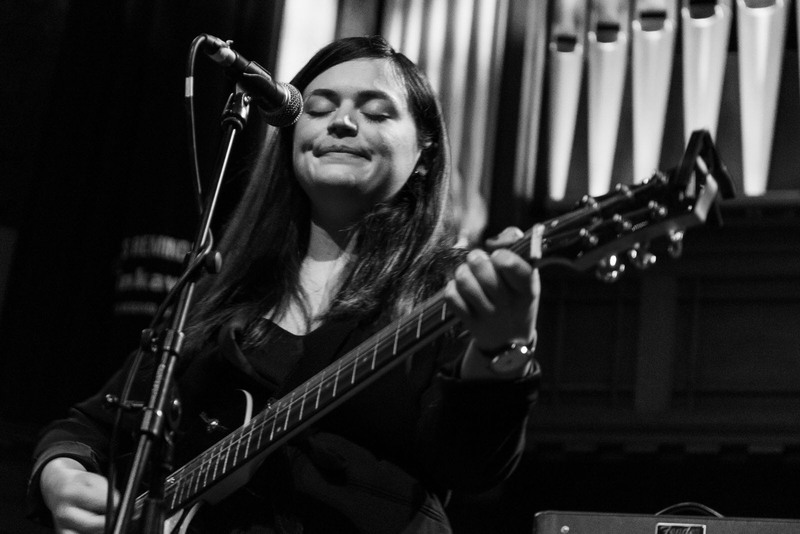 Her guitar playing and swooning backing vocals perfectly complement Pedersen’s spoken words. Wilson mentions that her new album – the follow up to 2017’s heavenly ‘There Are No Saints’ – is ready and it’s obvious she is thrilled to be airing some new material. It’s a couple of these new songs that are the stand-out tracks for me tonight. 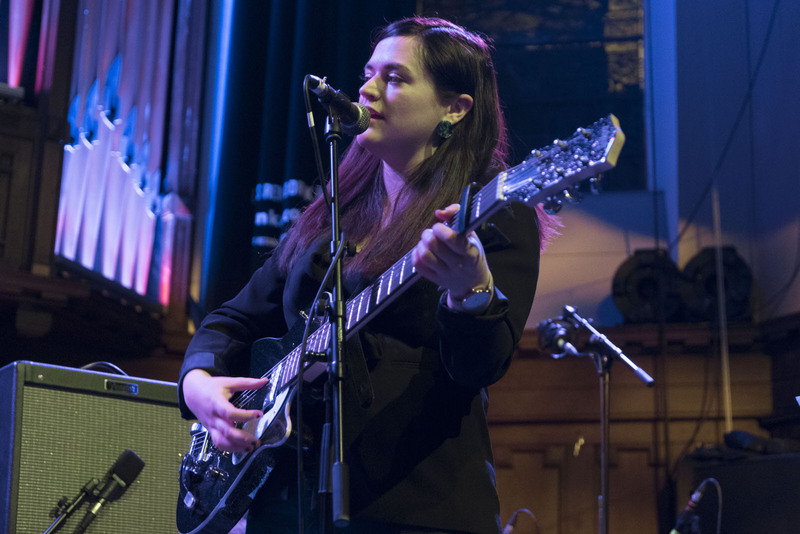 The first, ‘Unconquerable’, was co-written with Honeyblood’s Stina Tweeddale last summer. Wilson says she’s a huge fan of Honeyblood and she’s in good company. It’s a privilege to hear them performing this song together. Their call and response and overlapping vocals harmonise to stunning effect as they soar on crashing cymbals and a thunderous riff. It’s a song that shows off Wilson’s punkier side and this is also reflected in my second stand-out new song, ‘Marry You’. This is a catchy and punchy number with some hard-hitting lyrics (“if indecision is your decision, I do not need your permission”) that causes a wave of excitement to flow through the crowd. It’s stuck in my head long after I leave the venue, which bodes well for the new album. Covers in both English and French pepper the set. She stands to play an emotive performance of ‘Dis, quand reviendras-tu?’ by French folk-noir singer Barbara while Carla J. Easton provides additional vocals on a shimmering rendition of Serge Gainsbourg’s ‘Ne Dis Rien’. Wilson seems to be constantly seeking out new styles and there is no clearer demonstration of this than her singing a Hindi song called ‘Chaha Hai Tujko’, which she learnt to play on a trip to Skye. No music, or language, seems to be out of bounds. From starting stripped-back and acoustic Wilson ends this set the same way, beginning the encore with another cover – this time of folk-rock legend Richard Thompson’s ‘Beeswing’, which receives a rapturous response. “That’s the saddest song in the universe, and the most beautiful”, she says following the wonderfully stirring rendition. She may not be singing her own lyrics, but she still paints a poignant picture with her performance. As she ends the set with the wistful honesty of ‘Terrible Woman’ I realise that, despite her recent illness, this is the best I’ve heard Wilson’s ethereal voice and it is her strongest performance to date. Throughout the set, there is a warmth that emanates from her that is subsequently reflected back at her from the audience. 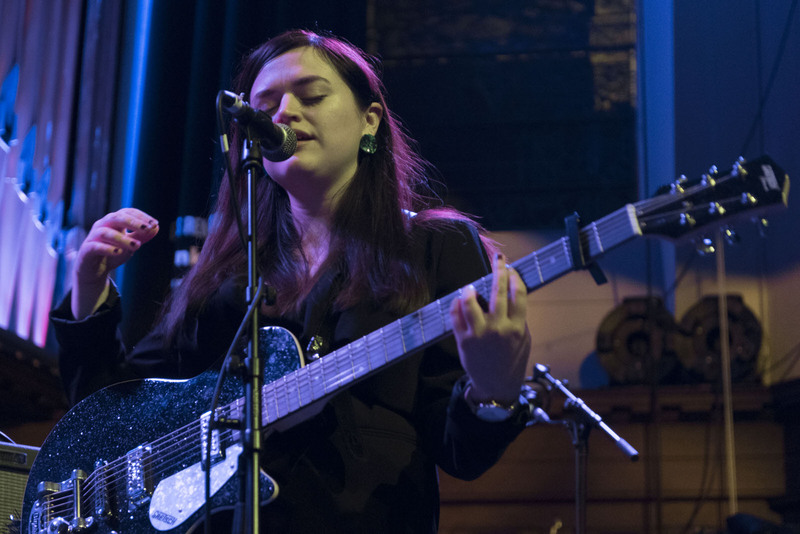 Siobhan Wilson is an exceptional artist who, through her music and personality, always connects.